Summer, man. It's fleeting. It is hard to believe that already, here we are in mid-July. I recently had a conversation with my dad about how time just speeds up as you age, and I feel that phenomenon is finally happening to me this summer. I'm nostalgic for summer before it has ended. In my house, summer begins on the last day of school. We write out a "summer to-do" list posted to the refrigerator and get busy enjoying the warmest season. Top of the list: Eat ice cream sandwiches. 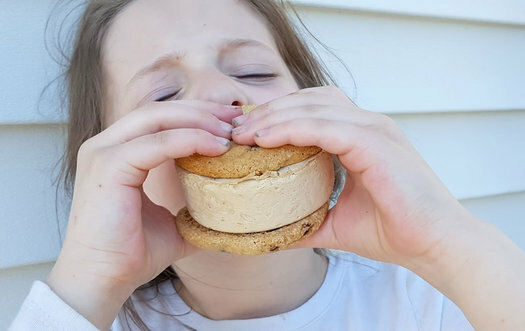 There's no such thing as too many ice cream sandwiches, especially when they are homemade like those from Different Blend Bakery in Guilderland. And they also happen to be gluten free. Blaze Pizza -- a fast-casual pizza chain -- opened last Friday in Stuyvesant Plaza. It's the second location in the Capital Region -- the first opened at Mohawk Commons in Niskayuna last fall. 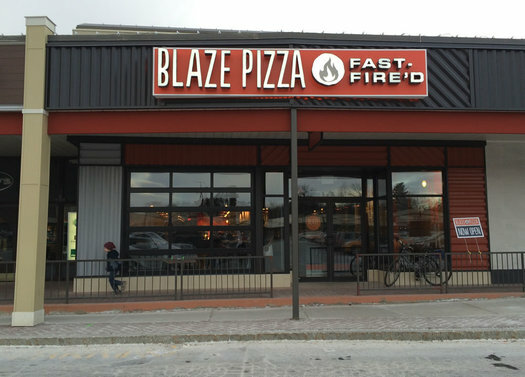 The Blaze concept is sort of like Chipotle, but for pizza -- you walk in, go through the line telling them what you'd like on your pizza, and then the pizza goes into an oven for a few minutes. They call your name, you take the pizza to your table and eat. It's about $8 for a pizza that can feed 1-2 people depending on how hungry you are/whether you also get a salad. We're always looking for an excuse to 1) eat pizza and 2) meet up with the Tournament of Pizza crew. So we got the band back together and went to taste some pizza. In our youth, Fridays are the benchmark for excitement and prospects. Pizza lunches, sleepovers, sleeping in... maybe mom will even bring home takeout for dinner. As adults, Fridays are exhausting. We build up in our heads what Fridays should be, built partially on the ideals and projections we concoct in our younger days. But the obligations and efforts of "functioning adult human" status leaves few of us with much energy to do, well, anything on a Friday night. We might meet up with friends, but we're still so wiped from the week prior that we just mill about in a fog of longing to please just get me into my bed. 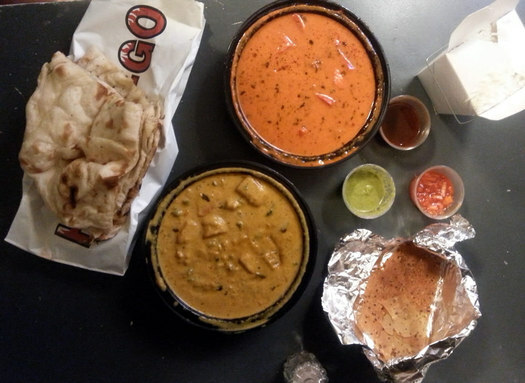 Takeout on a Friday is a near necessity as we (and our list of responsibilities) grow. 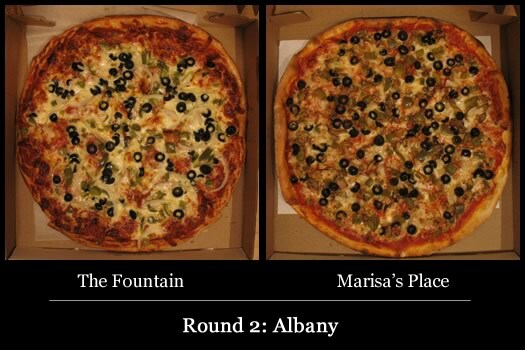 The final first round matchup in the 2014 Tournament of Pizza, sponsored by Keeler Mini is last year's tournament runner up, DC's of Albany, against the 2012 tournament champ, Marisa's Place of Guilderland. 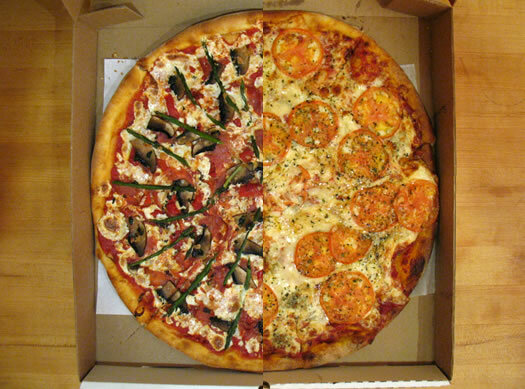 This year's clash-of-champions format includes first round matches consisting of two pizzas. Highest aggregate score advances. And, again, the two types of the pizza for this first round: sausage and the deceptively difficult broccoli ricotta white pizza. A lot of new buildings in this area are nice enough, but they don't really stand out. So we've been keeping an eye on the new City Line Bar & Grill building as it took shape on Western Ave, constructed new from the ground up on the site of the former Sutter's Mill -- because it doesn't really look like anything else around it. City Line officially opens Saturday. But it was operating Friday afternoon for a soft opening and we had a chance to get a look at the new restaurant and chat with one of its managers for a few minutes. 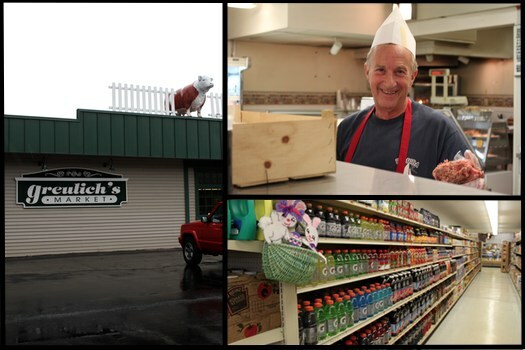 Greulich's Market in Guilderland, in business since 1949, has closed, according to its Facebook page. The Gazette's Bethany Bump reports the situation around the closing is unclear, and there was at least some indication that the store might still have a future. The biggest change is that years ago Hannaford wasn't down here, the beverage center wasn't down here. 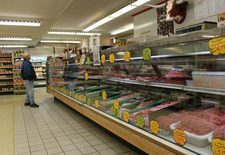 So when the other places come in, probably our grocery business has gone down a little bit -- but our perishables are still way up there because we can offer a more personal touch to that. The beer business has gone down because that's gone to drugstores and discount beverage stores because they get a huge quantity. But as Van Allen told Liz about managing a small, independent store: "You become tight knit and you're able to do things on your own [here] where in a chain you have to just follow the policy 'bang, bang, bang, bang, bang.'" Or yellowtail collar, as it's also known. 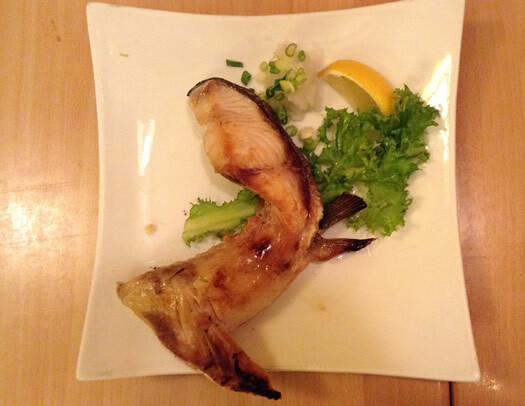 On a recent expedition to Sushi Tei in Guilderland to satisfy a sushi craving, I made an exciting discovery on the restaurant's specials menu: hamachi kama, or yellowtail collar. This is the part of the fish just behind the head, and while it may sound like something that belongs on an episode of Bizarre Foods (it has, in fact, been featured on the program), there's nothing particularly strange about it. Hamachi kama is really just a piece of grilled fish. 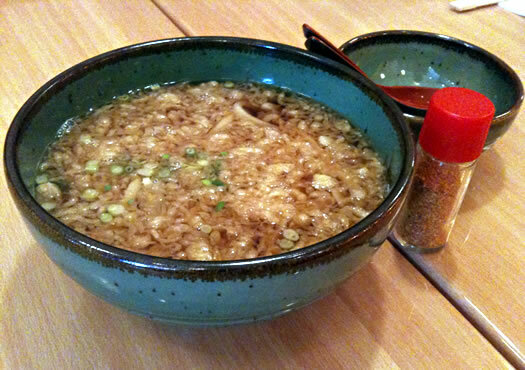 Except it's a remarkably delicious part of the fish, one that's worth seeking out when it's available at Sushi Tei. Marisa's Place's Alfredo Musumeci and Albert Pistana, with AOA Mary and David Weinstein from TOP sponsor Sunmark Federal Credit Union. We stopped by Marisa's Place in Guilderland Thursday to award them the trophy for winning this year's Tournament of Pizza. This was Marisa's first tournament championship. And even though the shop has competed many times before -- and turned out some very good pizza (average score: 67.5) -- we didn't know much about the story behind Marisa's. So we stayed a few minutes to talk with owner Alfredo Musumeci. On Sunday December 2, Trooper Christopher Maniscalco was answering a complaint in the town of Guilderland. While completing the call, Trooper Maniscalco was approached by a woman who asked if he was busy. Trooper Maniscalco responded that he had a few moments and the woman proceeded to tell him, "Trooper I always see you around, doing a good job and wanted to say Merry Christmas and thank you." The woman handed him a holiday card, Trooper Maniscalco thanked the woman and went back to his call. After his shift, Trooper Maniscalco remembered the card and opened it. Inside, was a quote and $1,000 cash. As you're probably guessing right now, State Police aren't allowed to accept such a gift. (And of course, as everyone knows, 15% is the standard tip on a police call.) So they're trying to figure out who the woman was so the money can be directed as a donation to a charity. By the way: Here's the NYS law for state officials and public employees for outside compensation and accepting gifts. It's 18 pages long. After 28 pizzas from 16 pizza places, we're now down to just two pizzas and two shops. 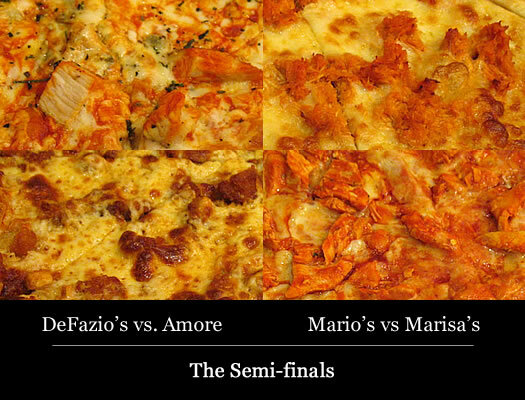 How we got here: DeFazio's blew the roof off during its semi-final match with Amore (Saratoga), scoring a TOP-record 82 with its Buffalo chicken pizza. And Marisa's posted a solid score of 69 in its matchup with Mario's of Niskayuna. Despite posting a string of excellent scores, and two previous appearances in the final, DeFazio's has never won the Tournament of Pizza. With its huge score in the last round, the Troy shop has to be the heavy favorite in this final match. But Marisa's is a formidable opponent -- with a set of its own strong performances. Can DeFazio's finally claim the crown? Or will Marisa's Place take the title? 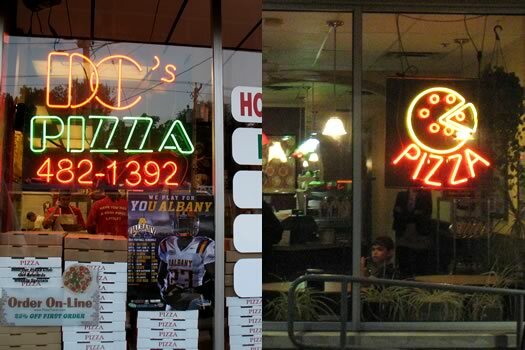 How we got here: DeFazio's topped its fellow downtown Troy shop, I Love | Amore gutted out a win against Pope's | Mario's represented for Niskayuna in beating Schenectady's Nico's | and Marisa's held off a tough tavern challenge from The Fountain. Now these four face a challenge never before taken on in the TOP: Buffalo chicken pizza. Yep, things just got real. Ready, set, pizza! Here we are, at the final stop in Round 2 of the 2012 Tournament of Pizza -- sponsored by Sunmark Federal Credit Union -- the Albany bracket. How we got here: Marisa's posted a huge number in Round 1 -- an 81, the highest ever in the TOP. And The Fountain represented for taverns, putting a very respectable 68. Tavern pizza hasn't had the best track record in the TOP, but The Fountain turned out quality in the opener. Could this be the year a tavern pizza breaks through? The opening round of the 2012 Tournament of Pizza -- sponsored by Sunmark Federal Credit Union -- heads for home with a final stop in Albany. Marisa's Place has turned out a series of high quality pizzas in the Tournament of Pizza -- though it's never won the championship. The other shops are facing a formidable competitor. Our water source is groundwater from two aquifers. In 2011, 57% of our water was drawn from wells located near the Mohawk River in the Town of Niskayuna. 43% was drawn from the City of Schenectady wells located in the Town of Rotterdam near the Mohawk River. 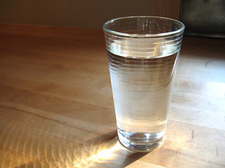 The Capital Region has a pretty strong claim on the best-tasting drinking water in the state. In addition to the strong showing this year from Niskayuna and Guilderland, the city of Albany took the took spot in the statewide competition in 2010 and 2007. And Albany's water finished in the top 5 of a national competition last year. 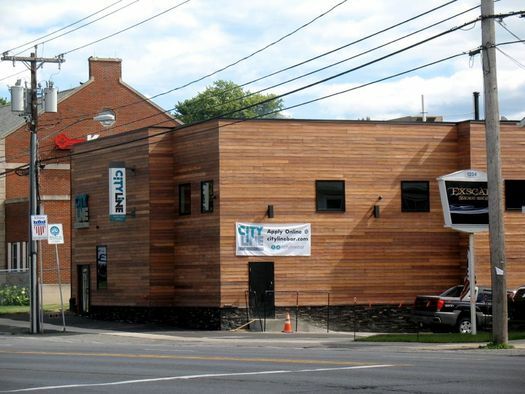 + Ravens Head Brewing -- which is hoping to set up at St. Joseph's in Albany -- has cited the quality of the local water as one of the reasons for wanting to come here. 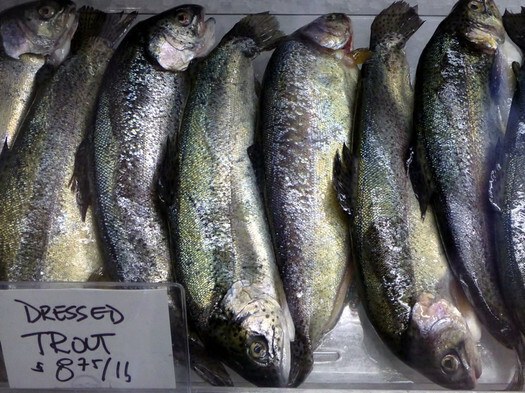 Fin -- the mobile fishmonger that's been selling at local farmers' markets -- is opening a permanent shop in the Star Plaza in Guilderland (Western Ave and Route 155). Owner Peter Kenyon says they're finalizing details and aiming for a mid-November opening. 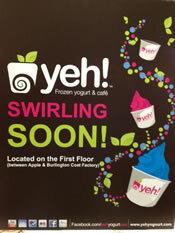 It will be the third froyo shop in that area -- there's a TCBY across from Stuyvesant Plaza and a 16 Handles mysteriously being sited somewhere in McKownville. Is there such as a thing as froyo over-saturation -- peak froyo? Back in the middle ages of the web -- you know, 2006 -- when online video was still a bit of novelty, a guy named Ze Frank did something that was crazy for that time: he produced a short online show every weekday for a year. The result -- The Show with Ze Frank -- was weird/entertaining/goofy/thoughtful/collaborative/funny and covered everything from current events to the creative process. It helped define the "person looking into a camera, jump cut, quick cut" online video genre. And it was great. As it happens, Ze is from Guilderland. He went to Guilderland High School. As he mentioned in one of the episodes of the show: "I was very popular in high school and very good at the sports. Just thinking about how popular I was makes me want to throw up." After graduating, Ze went to Brown, studied neuroscience, played in a band, and became wildly internet famous for a series of video clips of him dancing (including a form of dance "first explored by yours truly at the Senior Prom in 1989 in Guilderland, NY"). So, pretty much like everyone else you went to school with. Anyway, the point of all this is that Ze Frank has decided to produce another show. And after posting a Kickstarter project yesterday to help fund it, he raised more than $60,000 in about 12 hours. He's says he's planning to start posting episodes around the end of March. We can't wait. For Santa's sake, let's hope all that stuff about probing is a myth. Arielle sent along this holiday light display from the yard of a house on Western Ave in Guilderland. 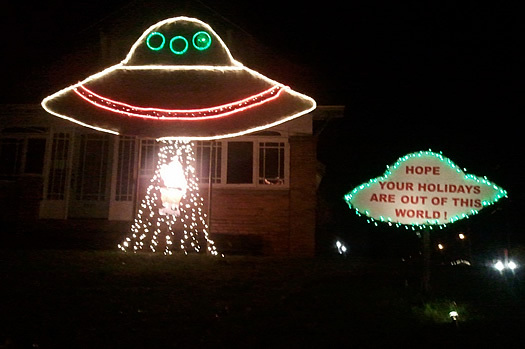 Yep, that's Santa being abducted by aliens. When we saw the sign go up a few weeks ago for a new TCBY next to the Five Guys across from Stuyvesant Plaza, our first thought was: "There is still such a thing as TCBY?" The idea of a TCBY made us think of the 80s, leg warmers, and the non-fat craze (and that episode of Seinfeld). But frozen yogurt got a makeover during the last decade and somehow became popular again thanks to places such as Pinkberry and Red Mango. 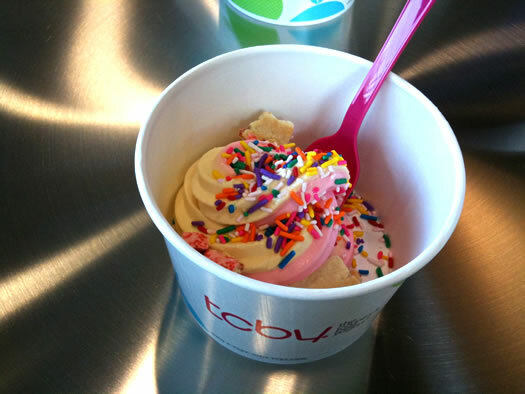 Last year TCBY re-tooled its image and approach, switching to the self-service model. So, with that in mind -- and because we do love ourselves some frozen dessert -- we stopped by the new TCBY here to check it out. It's Supermarket Week -- all this week AOA will have posts about grocery shopping. Because we all have to eat. + Edna Greulich, now 84, opened the market with her husband Arthur -- and is still at the store on a daily basis. + Eddie Lysiak, a butcher, recently received a thank you note and package of chocolate drumsticks from a customer thanking him for serving her family for 50 years. + And manager Robert Van Allen takes only three days off a year. Greulich's can't offer gas cards or the absolute lowest prices on most items, so they offer service. And after six decades in business, it's still working for them. Jeff emailed us the other day: "I just wanted to let you guys know that my neighbor built a snowman that is about a 1 1/2 stories high in his front yard." Uh, what? We have to see this. So we took a swing through Jeff's neighborhood in Guilderland. And, yep, that's a huge snowman -- easily the biggest we've ever seen. 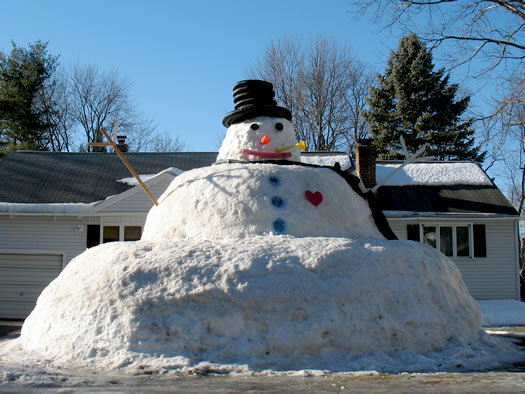 As it happens, the Gazette also heard about the frosty giant and talked with the builder. As Scott Leininger said in the story published today: "We just decided to build a snowman bigger than anyone else in town." There are more photos after the jump. 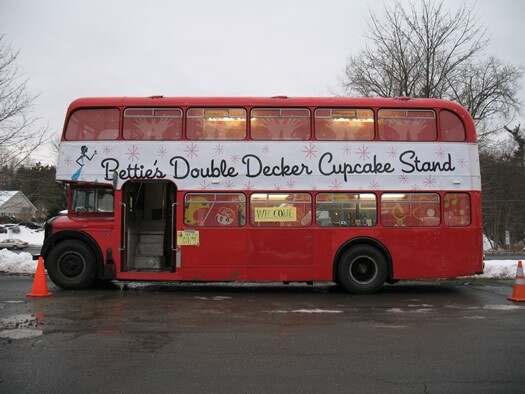 After seeing the tweets, noticing Kristi mention it and hearing the word-of-mouth, there were very few plausible scenarios that didn't involve us ending up at the Bettie's Cakes double-decker bus this afternoon. So, we figured, why fight fate? One of the butterfly house's inhabitants. Besides walking among butterflies, visitors can watch how butterflies are raised in the metamorphosis room or make free butterfly projects in the craft room. Community members of all ages will enjoy the many interactive butterfly exhibits in the museum room. 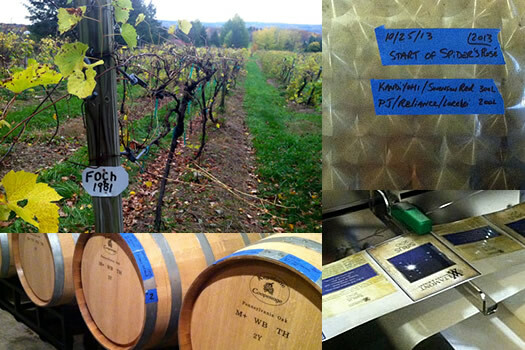 We stopped by last week. We're guessing it's probably good for somewhere between a half-hour and hour with younger kids. 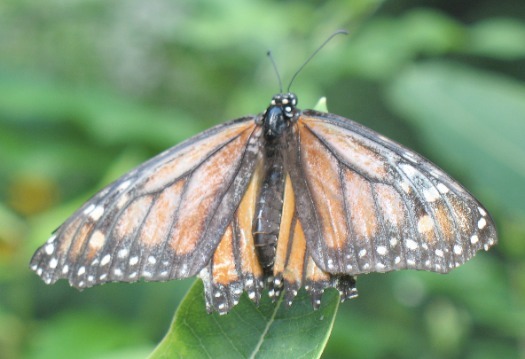 The Butterfly Station is open Monday-Friday 10 am to 1 pm until August 15. It's free. A few more pics after the jump. Field for Bruno's seat coming together, Pataki snubbed, local bankruptcies up, dude - where's her car?